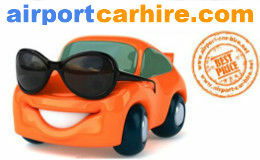 Compare the Best Car Hire Rates Alicante, from approved car rental companies worldwide including Hertz, Avis, Alamo, Budget, Dollar, Sixt, Thrifty and Europcar. Rent a car at Alicante Airport ALC, Alicante Train Station, Torrevieja or from many of our locations in Alicante city centre. Alicante Airport is situated on the East coast of Spain on the Costa Blanca. It is the sixth busiest airport in Spain in terms of passenger numbers. The airport provides visitors with easy access to a number of tourist resorts in the Levante region including Benidorm, Torrevieja, Denia, Calpe, as well as Alicante city. Calpe Avda. Generalitat Valenciana, nr 1, Calpe - Alicante. Alicante Airport is located beside the main roads the A7, the A31 and the N340. As soon as you have picked up your luggage, you will soon be on these roads, travelling from north to south, exploring the best that the Costa Blanca has to offer. To get to Alicante Airport from Alicante city, take the Autovia Alicante-Murcia and leave at the Alicante airport junction. An alternative route is to follow the national road N-340 to the airport. From Benidorm, take the Autopista A-7. The airport’s new T2 terminal has recently increased the airport’s flights and passenger capacity by 22 percent. There are many facilities for passengers within Alicante airport including, cafés, restaurants, bars, as well as a money exchange, ATMs, a post office, duty free and a variety of other stores selling a range of goods including cosmetics, sporting equipment, food and drink, clothing, toys, electronics, music and the usual newspapers and books. There is also a lost luggage office on the ground floor and a 24 hour medical service and pharmacy. Passengers in need of special requirements or wheelchair assistance are asked to inform their airlines when booking their flight. Alicante airport is home to specially fitted toilets as well as ramps and lifts for customers with physical disabilities. Driving Directions to Alicante Airport Take the N332 from Alicante city centre. Taxi service: Radio Taxi Elche opperates a taxi service in front of the main terminal building. Fares cost approx €25 to Alicante and €55 to Torrevieja. Tourist Information Desk: Is located in the arrivals hall on ground floor. Famous for its magnificent, palm-lined boulevard, quality shopping and magnificent setting, Alicante was originally called ‘Lucentum’, the ‘City of Light’. An attractive mix of gorgeous beaches, old plazas, outdoor adventure and great weather, Alicante is the perfect choice for tourists looking for culture, relaxation and sun-drenched fun.. The Castle of Santa Barbara is one of the biggest mediaeval fortresses in Spain and the number one stop for any visitor. Located in the centre of Alicante, this incredible structure overlooks city from the peak of Mount Benacantil. Visit the castle for a spot of history as well as spectacular vistas – and while there, remember to look out over El Postiguet beach for Moor's Head (it looks like a human face). Afterwards, return to the old town via Parque de la Ereta for refreshing sea breezes and lovely views. Head to the luxurious marina for fine dining, shopping and boat trips. A busy area both night and day, it is the perfect spot for purchasing souvenirs and gifts or relaxing over quality food with unbeatable sea views. 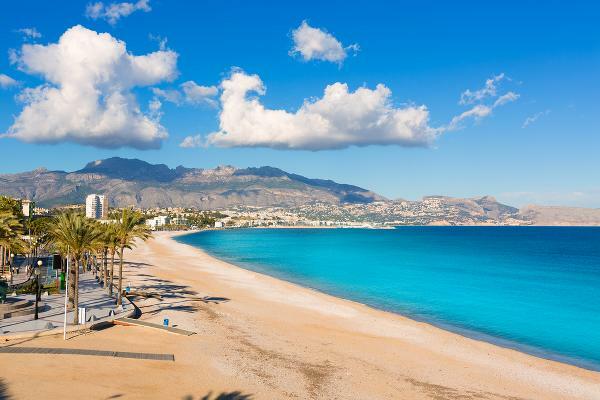 If you’d prefer to swim and lounge on the sand, there are a host of beaches in Alicante, but one of the most popular is San Juan Beach; only 4 km outside of the city and boasting a Blue Flag award, it is the perfect place for some relaxation. For a more active break, visit some of the beautiful parks in the city. Canalejas Park is the oldest and home to gorgeous fountains and amazing statues, while EL Palmeral on the outskirts of the city is home to hundreds of shady palms and boasts impressive waterfalls and lakes. Parque del Morant offers gentle, shaded walkways and an open-air theatre that houses performances in the summer months. Also visit the smaller but just as interesting Castillo de San Fernando on Tossal Hill, and the gothic Iglesia de Santa Maria; built between the 14th and 16th centuries, this pretty church is renowned for its Baroque interior and art collection. The town hall behind La Explanada Park is a dramatic structure and a stunning example of baroque architecture, while the Cathedral of San Nicolas has an impressive dome and lovely gardens to stroll around. . Collect your hire car at Alicante Airport and head to the wonderful Caves of Canelobre; just 25 km from Alicante, these underground caverns boasts an array of stalactites and stalagmites with a 70 m high central cavern. From here, continue on to the nearby village of Busot to view the magnificent Golden Hill and 12th-century Moorish fort. Tibi Castle is another popular scenic drive from Aliante; head out of the city on the A7 north, onto the CV-810, to witness one of the most scenic driving routes in the Costa Blanca region. A quiet, traditional village, Tibi is home to a myriad of whitewashed houses, the ruins of Moorish Tibi Castle surrounded by mountains and historic Castilla de Tibi. It takes approximately one hour to reach and is well worth the effort. With the atmospheric El Barrio old quarter at the foot of the Cathedral of San Nicolas, its numerous pubs and bars and stunning port, Alicante is a bustling and beautiful city worth exploring. The Santa Barbara Castle medieval fortress on top of Mount Benacantil is an awe-inspiring landmark. Beaches are plentiful and varied, such as the huge boulevard and marina of Postiguet or the 90m stretch of white sand and surf at San Juan. For shopping, try the historic 17th century Central Mercado with its eclectic architecture and amazing fresh produce including fresh and salted fish, fruits, vegetables and baked goods. Areca Hotel is located near the boardwalk and also offers 24-hour room service Each relaxed room at Areca Hotel comes with a mini bar and a flat-screen TV, while the bathrooms feature hair dryers and showers. All are equipped with a telephone, heating and a bathtub. Hotel Doña Isabel is set in Torrellano, less than 1 km from Alicante’s Airport and Conference Centre. It has a traditional Spanish restaurant and rooms with free Wi-Fi. 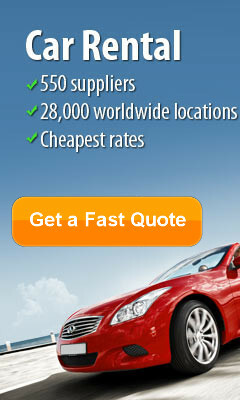 Take this opportunity to get the best car rental deals ... CHEAPER. 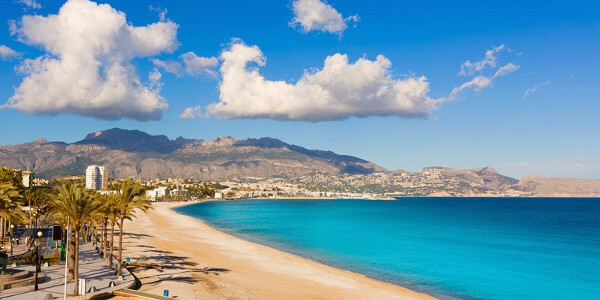 Alicante with mountain and sea views offers a lovely Spanish sun destination holiday, so why not hire a car in Alicante and see the sights and visitor attractions. Club de Golf Las Ramblas de Orihuela near Torrevieja.